Many consumer devices have “software power switches”, that is, the device is in a “standby” state when “off”. 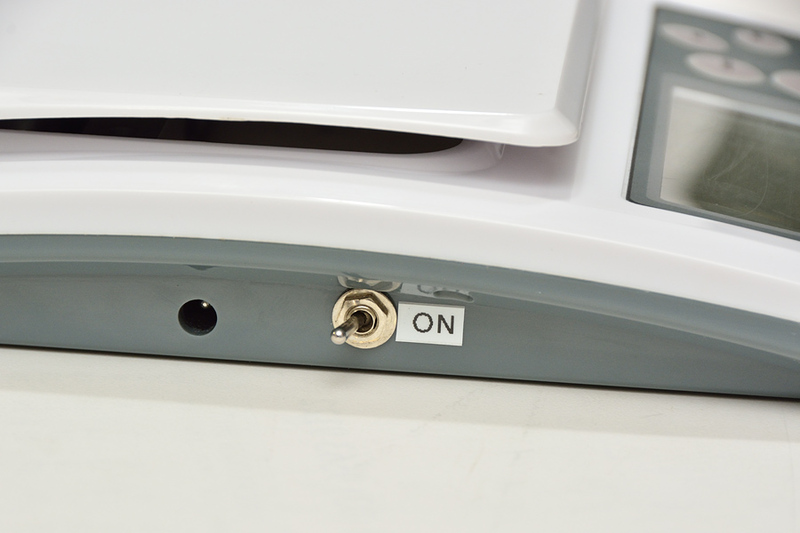 This standby state still draws current, and for battery powered devices used infrequently, can be a real pain! 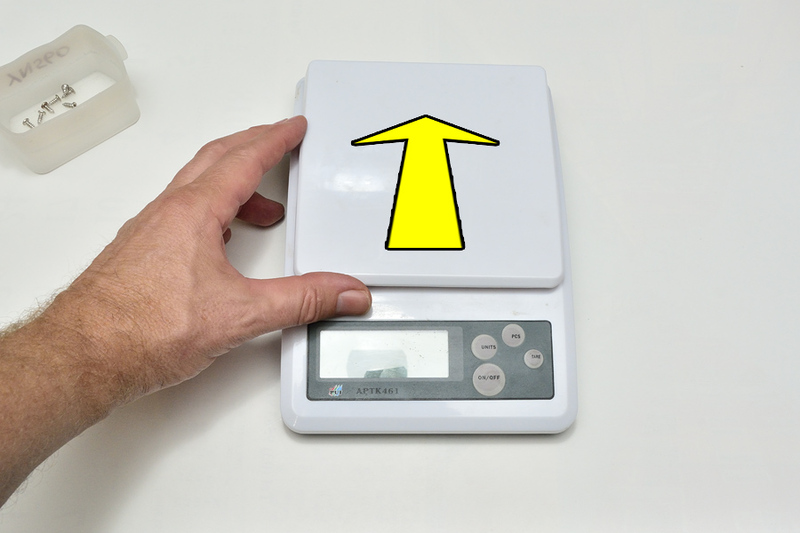 ie: You go to use the device, in this case, digital kitchen scales, and the batteries (more correctly, cells) are drained and dead. 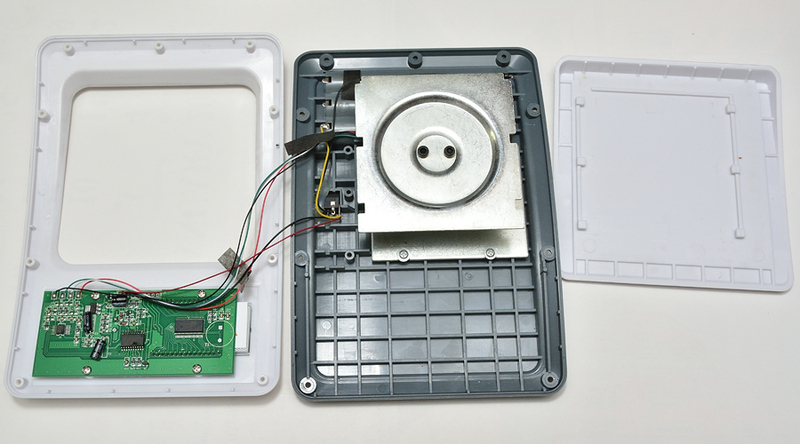 Add a real power switch, so the batteries cannot be drained. 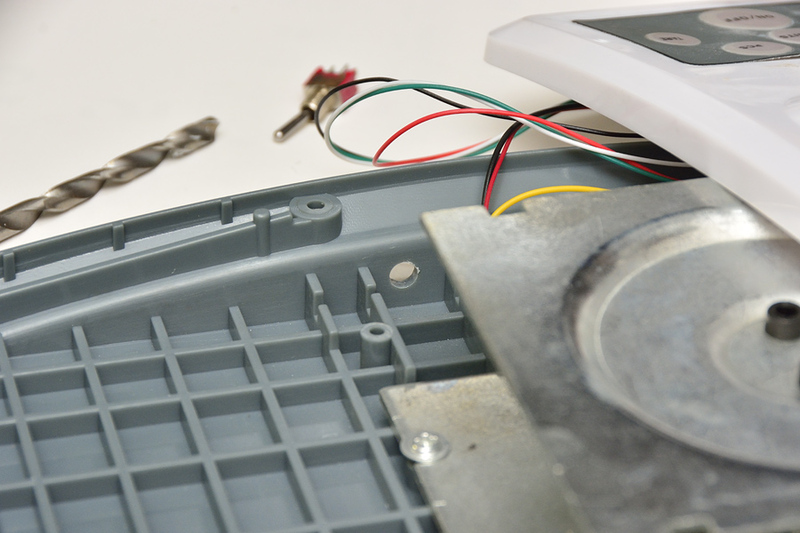 For these digital scales, remove the nine screws, one is hidden under the QC sticker. Slide the tray forward, as this is held in place by three tabs either side. 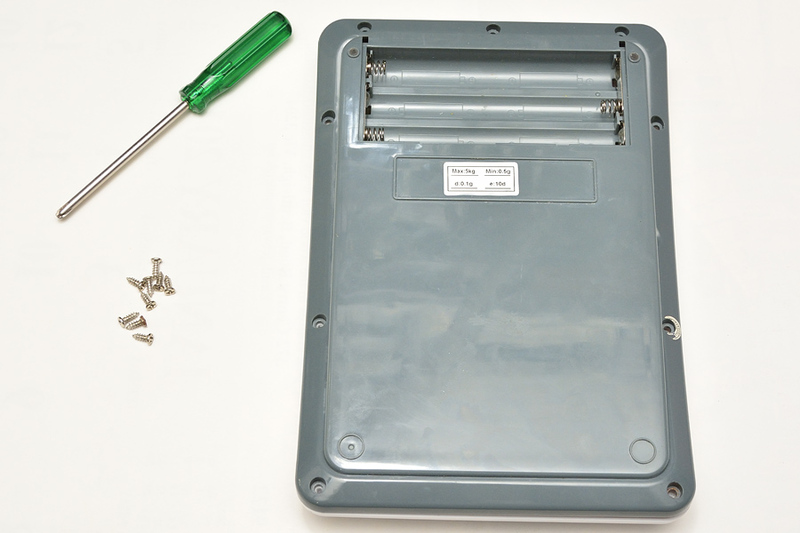 The following image clearly shows the tray and tabs when slid forward. The tray can now be lifted off. We’re going to intercept the red wire from the external DC socket. Note yellow wire from +ve end of battery compartment. 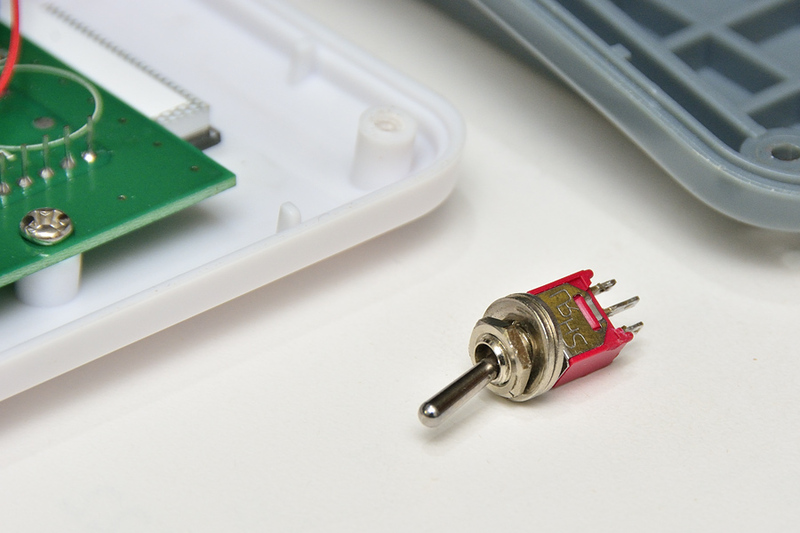 A miniature SPDT toggle switch is going to be the power switch. Drill an appropriate hole, in this case 5mm, in between two of the ribs. 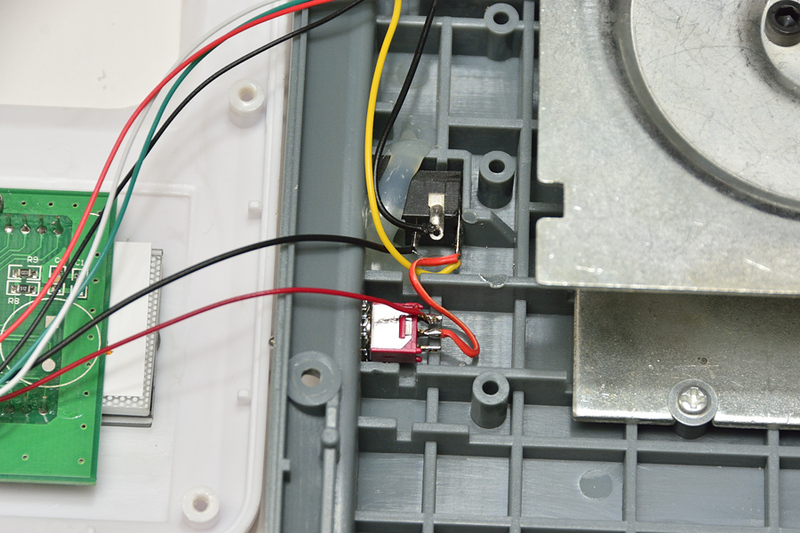 The red wire (+ve to PCB) is soldered to one end of the SPDT switch. I’ve chosen the “on” position to be forward. A wire is connected between switch common, and the DC socket. All back together again, finished off with a label. Now the power can really be turned OFF! 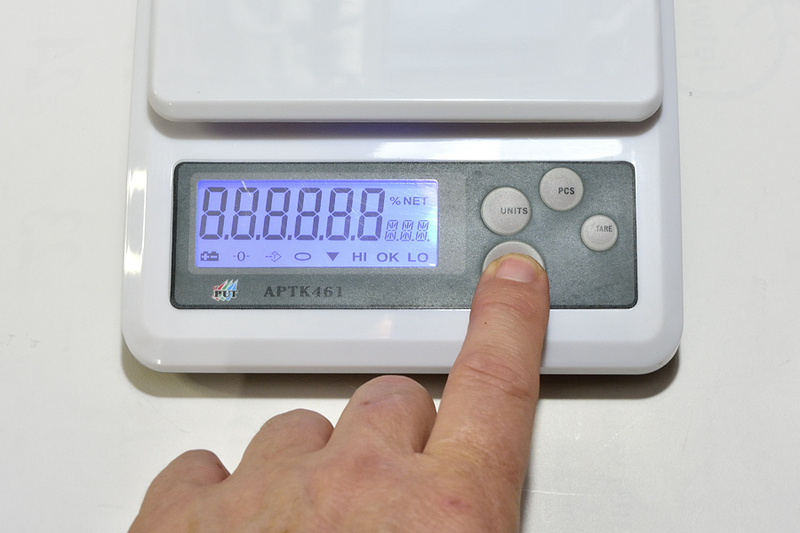 To power these scales on, you still need to press the “on” button, as per normal, after turning the new switch to “on”. This process of adding a real power switch can obviously be applied to many other battery powered devices.